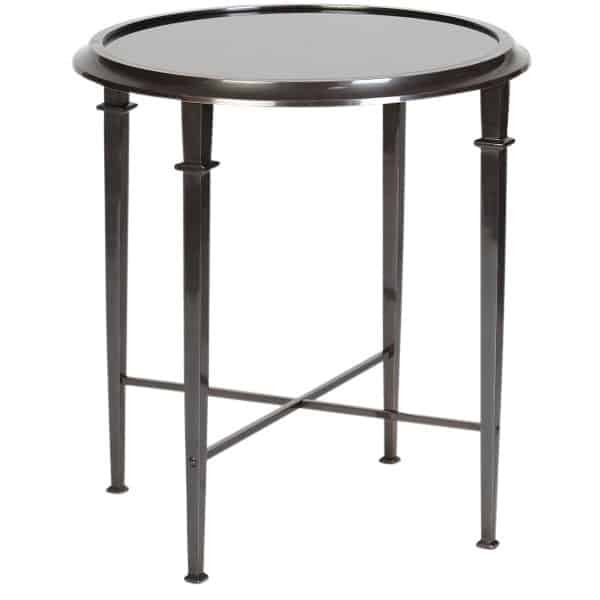 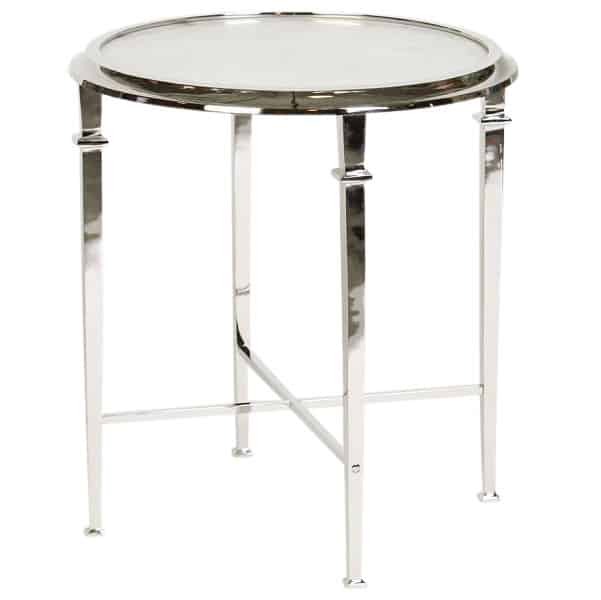 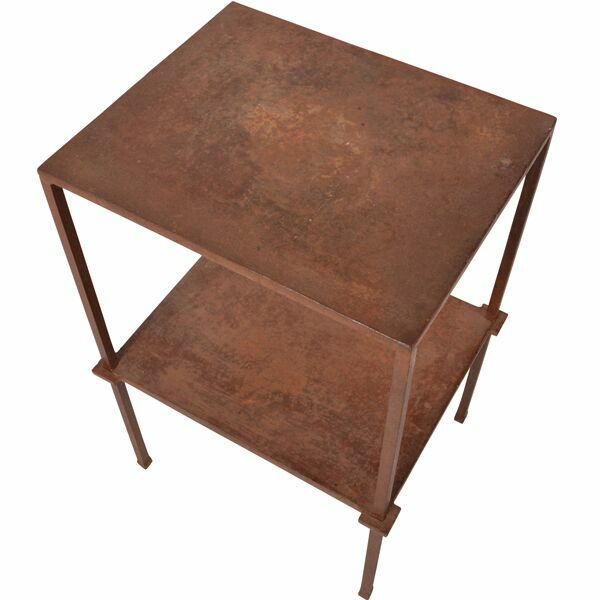 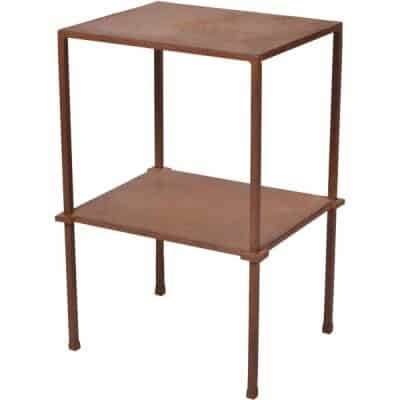 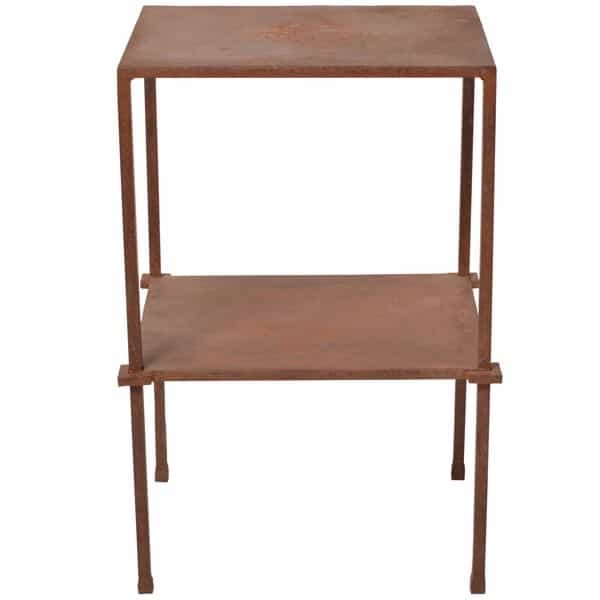 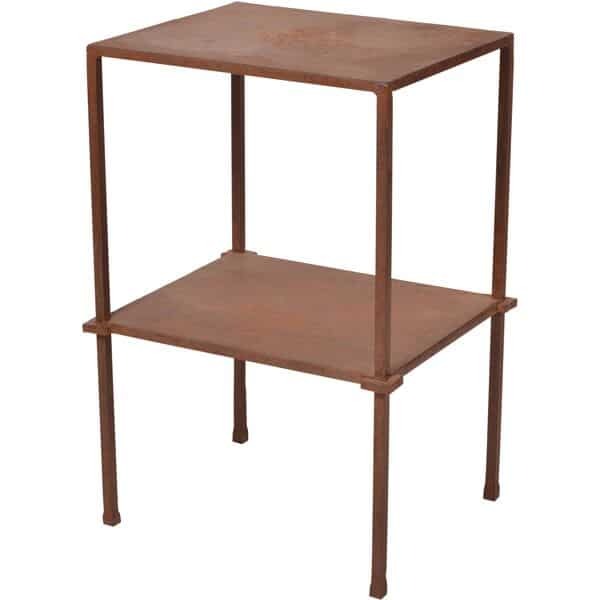 Tiered Rusted Metal Table, loft style iron frame with metal top and shelf. 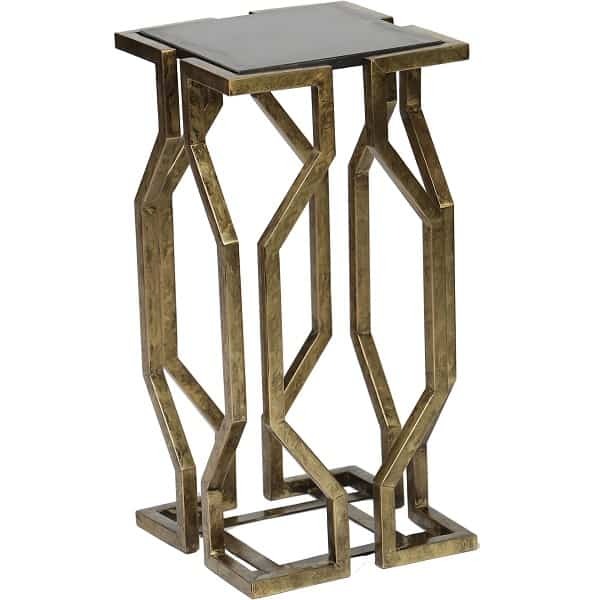 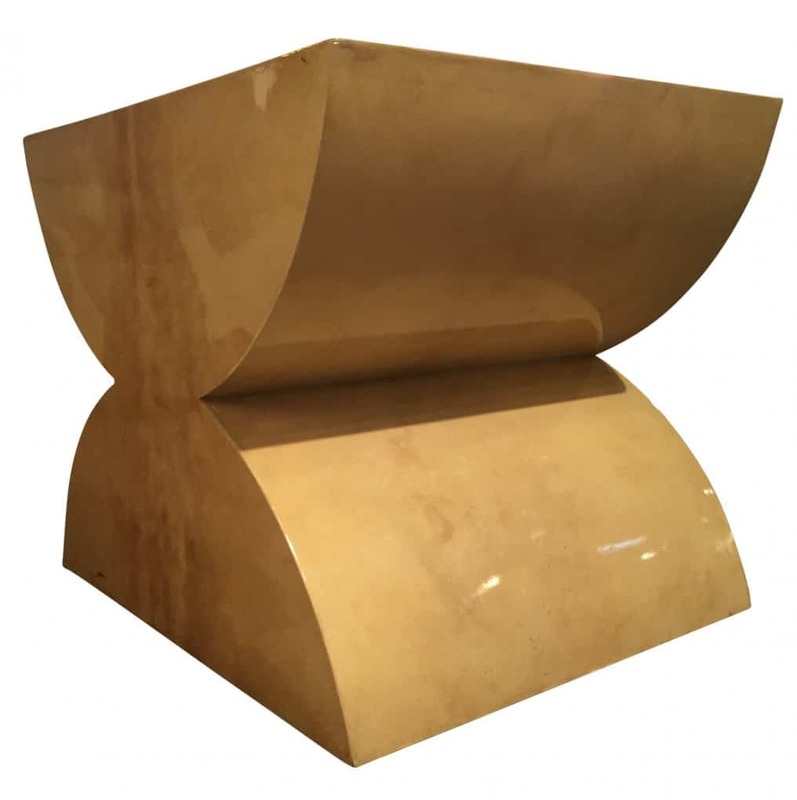 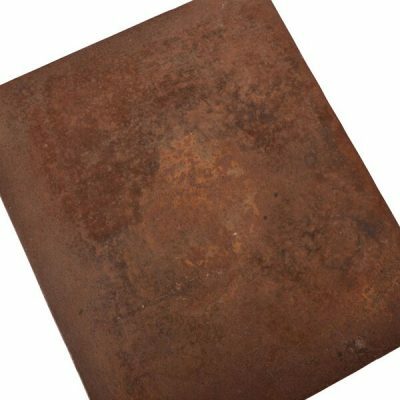 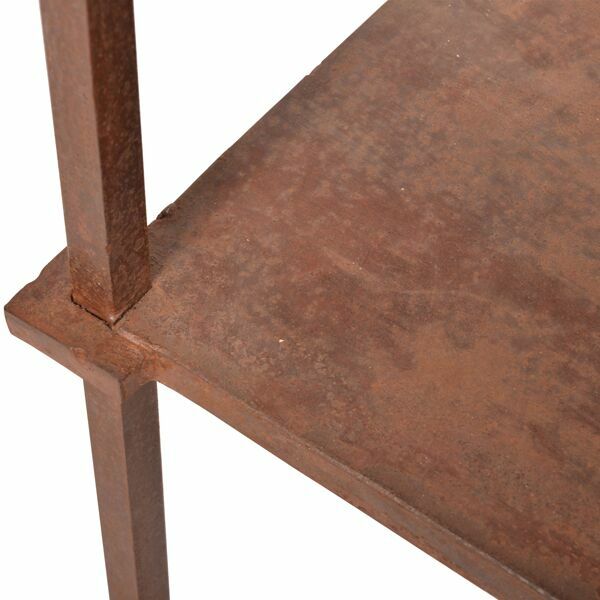 This edgy table has a natural rusted patina. For indoor use but may rust further when used outdoors.